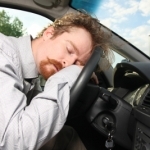 Driving under the influence is a serious offense in any state in the United States. 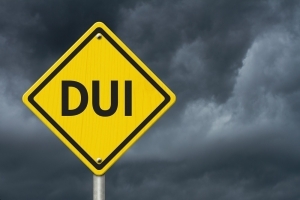 However, Arizona is a state that imposes some of the most serious consequences for DUIs. 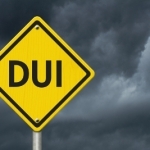 This blogpost will discuss some of the important terms and definitions regarding DUIs in Arizona. Blood Alcohol Content (BAC): The BAC is the metric of alcohol intoxication that police departments and the court use to determine if a person is too intoxicated to drive. Every state imposes that if a person’s BAC is 0.08 or higher, that person is too intoxicated to drive. If pulled over, this person is open for being charged with a DUI. Arizona also classifies certain DUIs as “extreme.” A DUI is extreme in Arizona if a person’s BAC is 0.15 or higher. Extreme DUIs carry higher penalties than a regular DUI. Ignition Interlock Device: An ignition interlock device is an instrument that is imposed on every person who is convicted of a DUI. It is installed into a vehicle and requires a person to blow into the device before the device can be started. The device will prevent the car from starting if the device detects alcohol. At random times after the engine has been started, the device will require the person to blow into the device again. If a person does not blow into the device, the device will make a notation that a person did not comply and continue to warn the driver to blow into the device. Arizona requires that an interlock device is authorized. 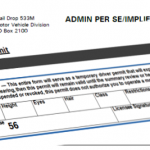 You can find authorized installers on the Arizona Department of Transportation Website. Costs for the device can vary and some require a monthly fee to maintain. This fee for the interlock device is not included in the fine for committing a DUI. Community Service: Community service is required for all DUI offenses in Arizona. It is important to pay attention to the court order when sentenced for a DUI. Many times the judge orders generic community service, but they can impose certain requirements on community service. 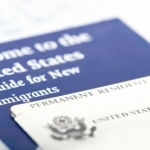 Some may require that community service can only be completed at a 501(c) non-profit agency. This could include schools, charity dining rooms, food banks, women’s shelters, and animal shelters. Community service, while a minor punishment compared to interlock devices and fines, is still important to the overall punishment. Not completing the required community service can affect a person’s ability to properly complete the requirements of a DUI conviction. Extreme DUI: An extreme DUI is classified as a person who is convicted of a DUI for having a BAC level of 0.15 or higher. Arizona imposes higher fines and longer jail sentences for extreme DUIs. Alcohol education and community service is required. Aggravated DUI: An aggravated DUI in Arizona means a person is commits a DUI with a suspended, revoked, or canceled driver’s license; commits a third DUI in 84 months; commits a DUI with a person under the age of 15 in the car; or commits a DUI or refuses to submit to a BAC test while under an ignition interlock device. Being convicted of a DUI is a serious offense. Arizona proscribes severe punishments. 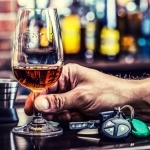 If you find yourself being charged with a DUI, the best chance of getting through the process in the cheapest and quickest fashion is with the help of an attorney. Many times attorneys will offer a free initial consultation which can be helpful to discuss your options and what is the best path for your situation. 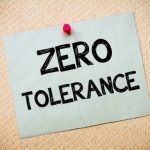 Click here for information on zero tolerance DUI in Arizona.